There's been a jailbreak! Call Batman with the Bat-signal! Young crime fighters can create all sorts of cool adventures with their favorite DC Super Friends at the Imaginext Gotham City Jail! Turn a disk to make Bane glow as he powers up, then turn another disk to unlock the other jail cells and release Gotham City crooks! Luckily, Batman is there to save the day and put those criminals back behind bars! Or maybe, Bane takes control of Gotham City Jail and locks up Batman! 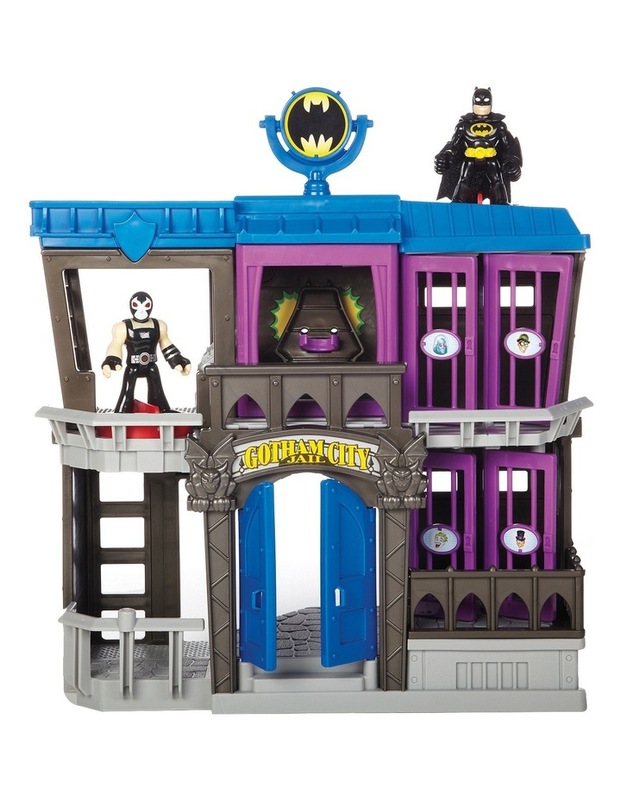 Bring more Imaginext DC Super Friends to the Gotham City Jail to add to the fun jail cells are specially marked for all of Gotham City's villains! (Additional figures sold separately).